The vision of the South American rainforest as a wilderness of rank decay, poisonous insects, and bloodthirsty ‘savages’ in the Spanish American novela de la selva has often been interpreted as a belated imitation of European travel literature. 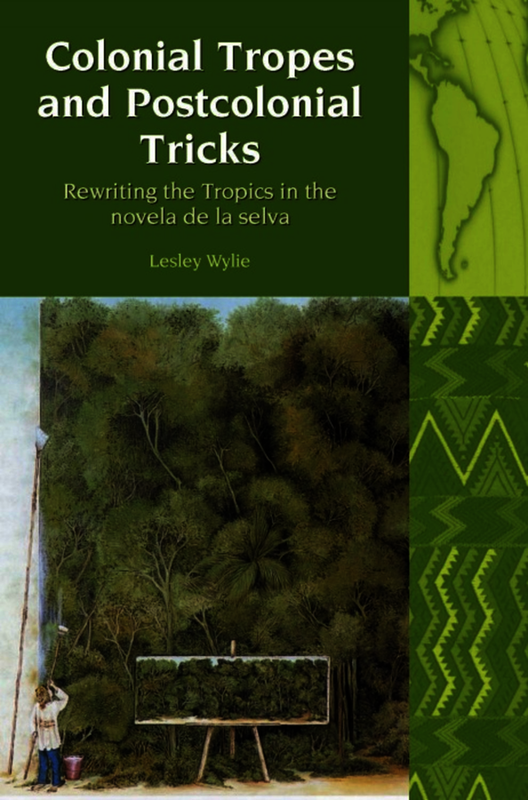 This book offers a new reading of the genre by arguing that, far from being derivative, the novela de la selva re-imagined the tropics from a Latin American perspective, redefining tropical landscape aesthetics and ethnography through parodic rewritings of European perceptions of Amazonia in fictional and factual travel writing. With particular reference to the four emblematic novels of the genre – W. H. Hudson’s Green Mansions , José Eustasio Rivera’s La vorágine , Rómulo Gallegos’s Canaima , and Alejo Carpentier’s Los pasos perdidos  – the book explores how writers throughout post-independence Latin America turned to the jungle as a locus for the contestation of both national and literary identity, harnessing the superabundant tropical vegetation and native myths and customs to forge a descriptive vocabulary which emphatically departed from the reductive categories of European travel writing. Despite being one of the most significant examples of postcolonial literature to emerge from Latin America in the twentieth century, the novela de la selva has, to date, received little critical attention: this book returns a seminal genre of Latin American literature to the centre of contemporary debates about postcolonial identity, travel writing, and imperial landscape aesthetics. Wylie’s careful readings of these novelas alongside their many literary precursors and intertexts – from Columbus’s Diarios to early twentieth-century tropical medicine treatises from Spanish America – form a rich historical guide with which to study how these four writers problematise notions of reading and writing from within the postcolonial Latin American nation.